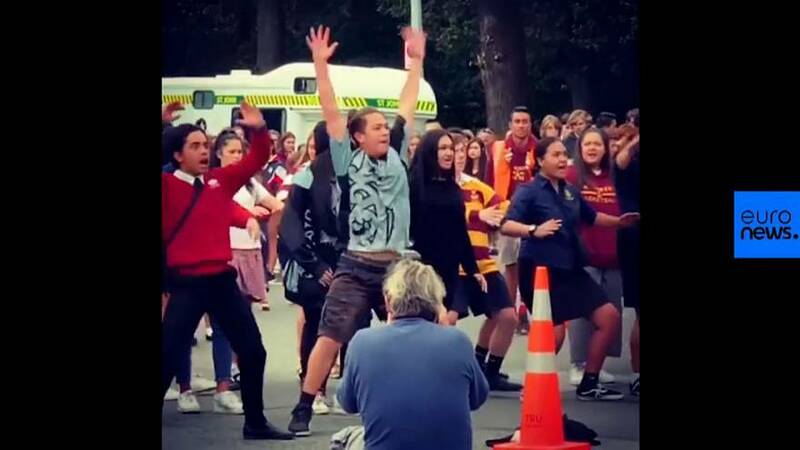 Teenagers at a secondary school in Christchurch performed a haka — a ceremonial dance or challenge in Māori culture — in tribute to the victims of the New Zealand mosque shootings. A crowd gathered at the Al Noor mosque where 42 people were killed when a gunman opened fire on worshipers on Friday. The Al Noor attack was part of twin mosque shootings in Christchurch which claimed the lives of 50 people and saw dozens injured. Many tributes to the victims took place across New Zealand and in neighbouring Australia over the weekend.